Did you know some parrots can live up to 80 years? When you open up your home to a parrot, you are also opening up your heart to a long-term commitment. It is important to understand a parrot's unique needs so you can ensure it receives the best possible quality of life in your care. 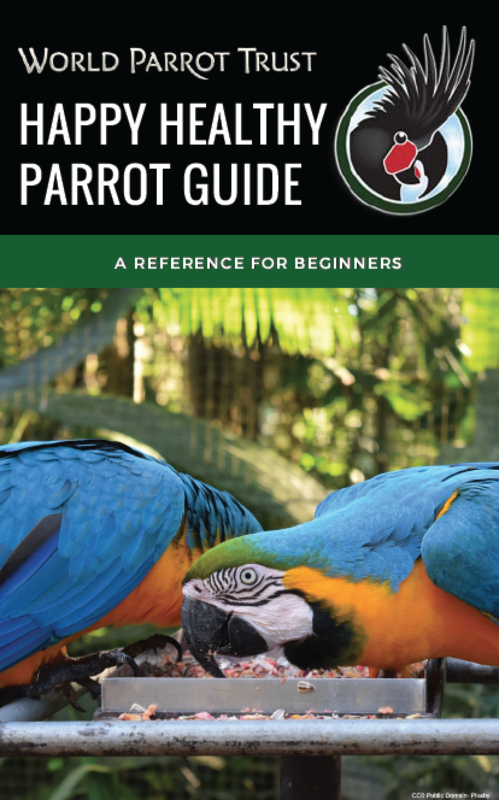 The World Parrot Trust's Happy Healthy Parrot Guide provides new parrot owners with an overview of important information they need to know. Plus, additional resources such as podcasts, expert advice, publications, and more! For nearly 30 years, the World Parrot Trust has helped tens of thousands of parrot lovers to provide better care for their companions, while also working to protect critically endangered parrots in the wild across the globe. © 2017 World Parrot Trust - All Rights Reserved.